Buckle up! 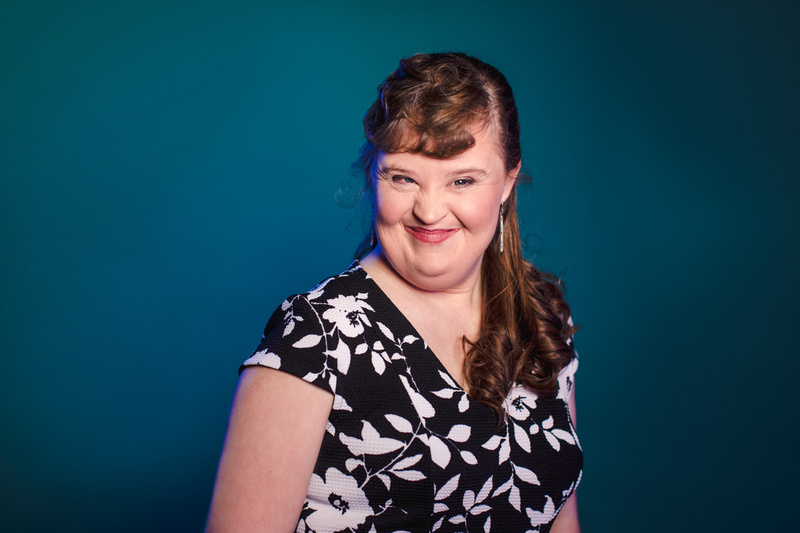 After winning fans on Ryan Murphy's ultra-addicting American Horror Story, Jamie Brewer is making her off-Broadway debut in Lindsey Ferrentino's Amy and the Orphans. The play, which stars Brewer alongside Tony winner Debra Monk and stage and screen star Mark Blum, takes place on a family road trip as a sister and brother reunite with Amy, their movie enthusiast sister who has Down syndrome. Actor and activist Brewer is no stranger to making strides for people with intellectual developmental disabilities. In 2015, she became the first woman with Down syndrome to walk the runway at New York Fashion Week. Now, she is taking both her artistry and advocacy off-Broadway. We caught up with Brewer to talk about how it feels to be a role model, her celebrity crushes, and why Mulan is the Disney princess she relates to the most. Brewer broke out onto the scene as Adelaide in the first season of Ryan Murphy's American Horror Story. Like many of Murphy's screen faves, she has become a fixture on the FX series, subsequently appearing in the seasons of Coven, Freak Show and Cult. “Being part of the American Horror Story family is truly exciting," Brewer says. "I’ve been working with amazing names: Jessica Lange, Sarah Paulson, Emma Roberts, Denis O’Hare. Ryan Murphy brings in these amazing talents, including singers like Stevie Nicks, Patti LuPone, Patti LaBelle. I just—I beam, I glisten. I glow every time that I hear [a fan] mention my name. Even when my family hears like, ‘She’s in American Horror Story!’ It lights up my entire family, as well as myself." Though Brewer is celebrated for breaking boundadries onscreen, theater was what she studied growing up, making her off-Broadway debut all the more memorable. "I went to a college for kids program when I was in eighth grade. It helped me learn the basics of theater from props to different things," Brewer says. "Exciting and humbling are the two words that come to mind [when I think about making my off-Broadway debut]. Working with [director] Scott Ellis is a huge thrill. I’ve worked with Lindsey Ferrentino, the writer of the play, ever since she first started writing it. She started writing it in the image of her aunt. Hopefully, if I do fail, I have a major support system to catch me." Not unlike her character in the play, Amy, Brewer is a huge movie buff. "I am a big romantic comedy kind of girl. I’m a big classics girl, too: I love Gone with the Wind." She is also a fan of movie stars and has quite a few celebrity crushes, whether they're swashbuckling in The Pirates of the Caribbean or making moves in Dirty Dancing. "Johnny Depp is my favorite. I'd love to work with him. Orlando Bloom is another one. Patrick Swayze is another one. It’s the dancing!" The stage and screen are not the only places where Brewer shines. She famously strutted her stuff in New York Fashion Week 2015. "I got word of [the opportunity] through a lady named Katie Driscoll." 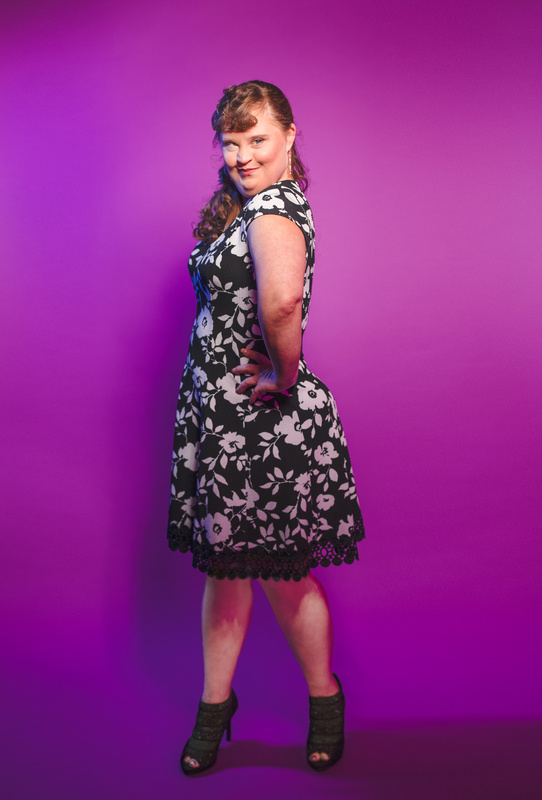 Driscoll is the co-founder of Changing the Face of Beauty, a nonprofit organization that advocates for inclusion of people with disabilities in the media. "She has a daughter named Grace that has Down syndrome. She asked her mom, ‘I want a role model for me, to advocate for me.’ Through there, Katie contacted this designer out here in New York, Carrie Hammer. Carrie is a huge fan of American Horror Story. So, the dress was like an image from Coven, which was exciting. I felt like Nan again getting into that. The name of Carrie’s show during Fashion Week that year was Role Models Not Runway Models." Not unlike a royal, Brewer is often approached by fans on the street. Over the years, "role model" is a title she has been given and wears proudly. "I do get emotional with hearing it, but I light up every time I hear it," she beams. "It’s a humbling feeling; it’s a sense of honor that comes over me. I feel in certain ways—this is a Disney movie that I love—when that happens, I feel like Mulan. It’s the sense of honor and being the only child in my family. I have a sass and an adventurous side. I feel like all of the princesses." Lindsey Ferrentino's new play takes us along on a raucous family road trip.